“As we get older our bodies start to slow down and muscles start to lose their strength and stability. At JustGym we are here to help you keep fit and healthy. £6 per visit or £25 unlimited monthly membership. 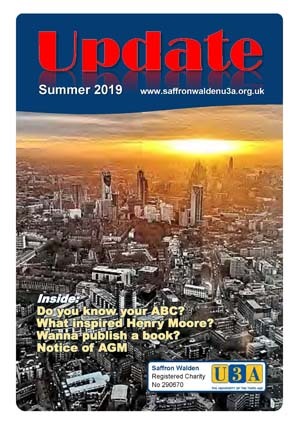 NOTICE IS HEREBY GIVEN that the Annual General Meeting of Saffron Walden U3A will be held at Saffron Walden Baptist Church on Monday 2nd September 2019 at 2.30 pm, or at any adjournment thereof. Under the terms of the Constitution, all the members of the Executive Committee, including those serving as Officers, will retire at the Annual General Meeting. Non-officer members of the Executive Committee have a one-year term of office and may serve not more than three terms. Officers other than the Treasurer have a one-year term of office and may serve not more than three terms in a particular Officer role. Only current members are entitled to attend, vote and speak at the Meeting. Written nominations by a proposer and seconder will need to be sent to the Secretary at least 28 days before the AGM (i.e. by 4th August 2019). Click here to see a list of responsibilities of the various committee members. Download this form if you wish to join or to nominate someone to join the committee – at least 28 days before the AGM. Minutes of AGMs and Accounts for previous years can be found on our Publications page. The group will meet at Jenny’s house in Saffron Walden and begin on Thursday April 18th, from 1.30 – 3.30pm and fortnightly thereafter. Slow Folk is a group pitched at hesitant beginners. This is a gentle way into playing folk music with others, by ear or with dots. There is a list of about 150 folk instruments on Wiki, ranging from accordion to zhaleika. Some of these could present a challenge when playing folk music from the British Isles but, if we can achieve an harmonious result, bring on that dingulator and ravanahatha! Experimentation will never be ruled out but the emphasis is definitely on supporting beginners to play comfortably in a group, using a collection of traditional tunes that satisfies all abilities and tastes. 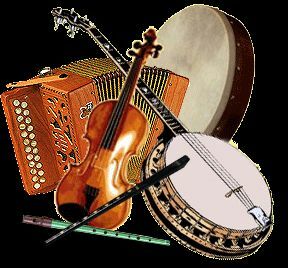 The usual choice of British/Irish folk instruments comes from a much shorter list than Wiki’s, including fiddle, flute, tin whistle, concertina, guitar, mandolin, pipes and bodhrán. If you have any of these, or a similar acoustic instrument, and can play a few notes and/or chords, hold a simple beat and want to have fun exploring the tunes while playing with others, Slow Folk is for you! Graham has been a Gamekeeper for over 40 years and his rich Essex accent marks him as the genuine article. 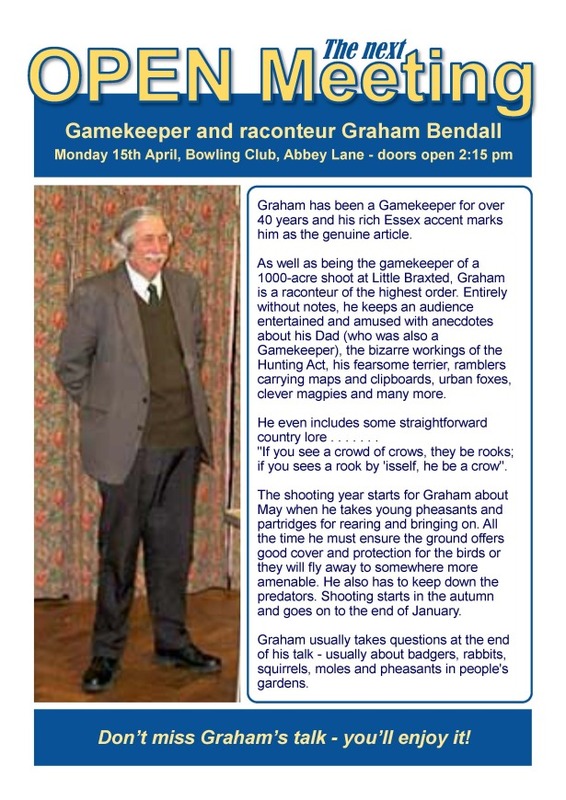 As well as being the gamekeeper of a 1000-acre shoot at Little Braxted, Graham is a raconteur of the highest order. 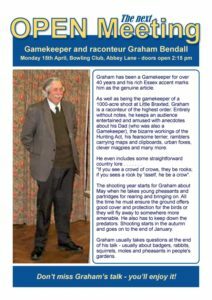 Entirely without notes, he keeps an audience entertained and amused with anecdotes about his Dad (who was also a Gamekeeper), the bizarre workings of the Hunting Act, his fearsome terrier, ramblers carrying maps and clipboards, urban foxes, clever magpies and many more. 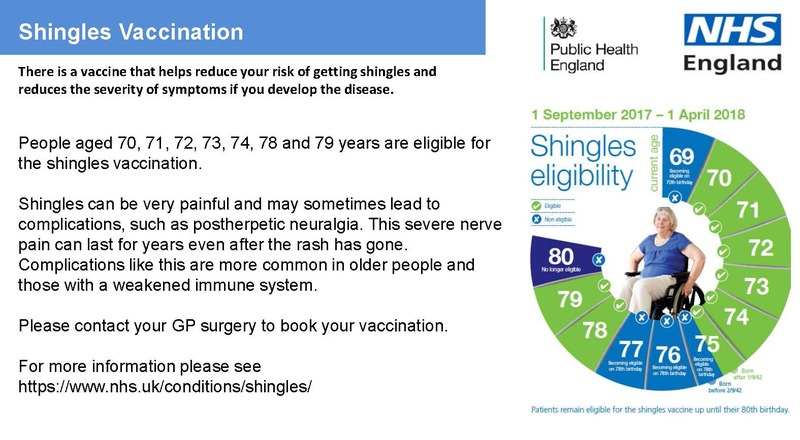 Click on the image on the right or see below for more information. Our new Gym Fit class has started and we already have 2 classes on a Friday at JUST GYM, Westbrook House, Shirehill. Saffron Walden. These sessions are currently full from members seeing the details on the website or responding from the information passed on by group coordinators, although spaces might well become available. But another session on a Wednesday morning might be possible in the future. The class will be taken by Andrea, who is qualified in fitness for older people, and there will be opportunities in the future to use gym equipment if you’d like to. The class is in a large room with mats on the floor and any equipment needed for the class is provided. You do not have to be a member of the Gym to attend, this is a class dedicated to U3A members. Fees are £4 per session, pay as you go, direct to the gym. 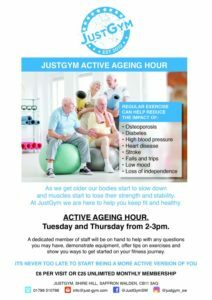 I have visited the gym and spoken to Andrea, who showed me around, and I believe this is an exciting opportunity for U3A members to have excellent Keep Fit training. All the staff are very friendly and have extensive knowledge – and understanding of possible physical limitations – you are encouraged to have a free assessment before beginning the sessions. Spaces available in Art 2 – 2-4pm on Friday afternoons at the Baptist Church – cost depends on how many are in the group – you are welcome to come along for a free trial to see what it is like. If interested then contact Mary Lewndon – 01799 526 463 – maryelewendon10@icloud.com See also our Art webpage. Due to the success of this group we will start a 2nd group in the new year – Jan 2019. Discounted tickets are available to U3A members, subject to a minimum number of tickets purchased (6-15 depending on production). Amongst others, included at present, are David Hare’s play “the Moderate Soprano”, Kneehigh Theatre Company’s brilliant production of Noel Coward’s “Brief Encounter” and, staged at County Hall, Agatha Christie’s “Witness for the Prosecution”. For further information, please telephone Wendy Smith 01799 510 852. PLEASE NOTE….THIS OFFER IS TICKET ONLY. NO TRANSPORT PROVIDED.